January 22, 2018 at 1:34p.m. Director Peter Jackson is transforming grainy black-and-white archive film from the London Imperial War Museum using cutting-edge digital technology and hand coloring to transform World War I film into 3-D color, to mark the centenary of the 1914-18 conflict. 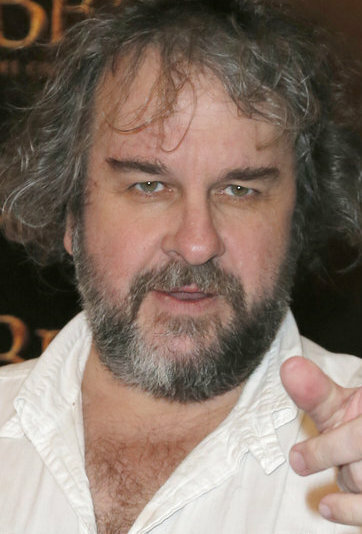 LONDON (AP) — "The Lord of the Rings" director Peter Jackson is going from Middle Earth to the Western Front, transforming grainy black-and-white footage of World War I into 3-D color for a new documentary film. Jackson's movie, announced Monday, is among dozens of artworks commissioned by British cultural bodies to commemorate 100 years since the final year of the 1914-18 war. The New Zealand-based director of "The Hobbit" and "Lord of the Rings" series has restored film from the Imperial War Museum using cutting-edge digital technology and hand coloring, pairing it with archive audio recollections from veterans of the conflict. He said the aim is to close the 100-year time gap and show "what it was like to fight in the war." "We all know what First World War footage looks like," Jackson said in comments broadcast Monday. "It's sped-up, it's fast, like Charlie Chaplin, grainy, jumpy, scratchy, and it immediately blocks you from actually connecting with the events on screen. "But the results we have got are absolutely unbelievable. They are way beyond what I expected. "This footage looks like it was shot in the last week or two, with high definition cameras." The film will have its premiere during the London Film Festival in October before being broadcast on BBC television. Every school in the U.K. will also receive a copy. The film is part of the government-backed 14-18 Now project, which has presented works by more than 200 artists over four years to remember a conflict in which 20 million people died. Other works premiering this year include a large-scale performance piece by South African artist William Kentridge about African porters who served in the war; processions to mark the 100th anniversary of some British women winning the right to vote; and a performance celebrating wartime homing pigeons that includes birds fitted with LED lights. "Slumdog Millionaire" director Danny Boyle — who helmed the 2012 London Olympics opening ceremony — will create a mass-participation work to be performed on the anniversary of the Nov. 11, 1918, armistice that ended the war. January 30, 2019 6:23 p.m.
EXTENDED-EDITION DVD 'Return of the King' due out in Dec.